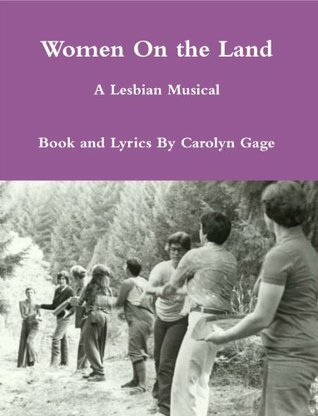 This has a strong satirical edge (a musical about lesbian pornographers and landykes, how could it not?) which would depend a lot on the staging for whether it comes off as loving or mocking. Because it's a musical it makes for a slightly awkward literary read (given the tendency to want to read sung portions in an improvised tune), but overall this was fun. Carolyn Gage - Carolyn Gage is a lesbian feminist playwright, performer, director, and activist. The author of nine books on lesbian theatre and sixty-five plays, musicals, and one-woman shows, she specializes in non-traditional roles for women, especially those reclaiming famous lesbians whose stories have been distorted or erased from history. In 2011, her play Stigmata won the Maine Literary Award in Drama from the Maine Writers and Publishers Alliance. Also in 2011, her play The Ladies' Room was named national finalist for the prestigious Heideman Award, given to the winner of the National 10-Minute Play Contest of the Actors' Theatre of Louisville. Her collection of plays The Second Coming of Joan of Arc and Selected Plays won the 2008 Lambda Literary Award in Drama, the top LGBT book award in the US. In 2009, she was named one of the "Ten Most Intriguing People in Maine" by Portland Magazine, and was awarded a three-month residency at the Wurlitzer Foundation in Taos, New Mexico. In 2010, she was named one of the "Most Influential People in Portland" by the Portland Phoenix. Gage tours internationally in her award-winning, one-woman play, The Second Coming of Joan of Arc, offering performances, workshops, and lectures on lesbian theatre.